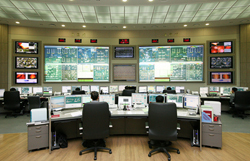 In Korea, steadily growing demand for electricity together with limited indigenous energy resources and a heightened environmental awareness have required additional power generation facilities with improved efficiency and environmental performance. Korea South East Power Co., Ltd. (KOSEP), a wholly owned subsidiary of the government-owned Korean Electric Power Company, constructed two new 800 MW supercritical coal-fired units in Yonghung, Korea to generate highly-efficient, environmentally-friendly electricity. 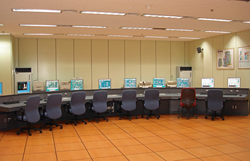 To ensure that the commissioning process for its new plant went smoothly, KOSEP turned to Yokogawa and its TechComm Simulation subsidiary for a full-replica training simulator solution. To conduct a thorough, off-line test and validation of the DCS configuration prior to the control system's actual loading and commissioning at the plant. To aid in the initial/refresher training of plant operators, which was conducted in parallel with DCS commissioning. To achieve these objectives, the simulator was required to fully simulate DCS functions and emulate turbine, generator, and electrical control functions. Yokogawa's full-replica simulator met the customer's requirements with high accuracy (> 99% steady state; >95% dynamic state), calculation of models at less than 250msec per cycle, and the ability to perform performance tests and a wide variety of simulations including startups, shutdowns, and load changes under normal, abnormal, and emergency operating conditions. The simulator was delivered on-schedule to the site in September 2002, twelve months before the boiler was to be fired up for the first time. In collaboration with the DCS manufacturer and TechComm, the customer proceeded to test and validate the DCS configuration on the simulator, conducting an I/O checkout, drive checks, sequence checks, control module checks/tuning, alarm/trip setting, and DCS response checks as well as tests in which malfunctions and other abnormal situations were simulated. This enabled thorough validation of the control configuration prior to DCS installation at the site, thereby minimizing the final tuning work. A significant number of potential plant trips and situations where there was potential for damage to the plant were identified and resolved before the initial plant startup, ensuring a safe and smooth plant commissioning process. The thorough control system validation on the simulator also provided a suitable training environment for plant operators. The simulator aided in the initial training for plant operators and refresher training for experienced operators under a wide variety of normal, abnormal, and emergency operating conditions. 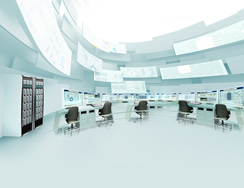 In parallel with DCS commissioning, KOPEC plant operators were well trained under the new control environment, reproducing custom-made flexible operating scenarios on the simulator. This avoided mistakes that could have occurred if the operator had not been familiar with the new system, thereby ensuring safe and smooth plant operation. The simulator also has the flexibility and expandability to accommodate future improvements in plant performance. The simulator continues to be an effective tool for the customer to optimize operational procedures and the plant logic/system.